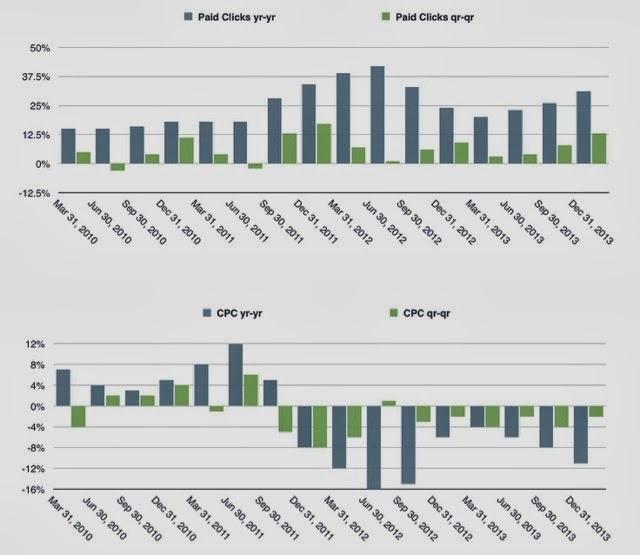 Paid clicks heading in the right direction, but CPC continues the decline. Tax rate was still pretty low, and they still missed on earnings. Revenues are making higher-highs, which is basically what the street cares about. "Other" is getting to the point to where it should be broken down. Growing very fast, and quickly making for a relevant share of revenue. Gross Margins went down, but that should change as Moto gets off the books. A quick thought for the analog-to-digital ad transformation, Google will definitely benefit, but it will not be a clear correlation. Much of the TV ads will still be handled the same way they are currently being handled. Via content providers own sales channels and their own tech.